In 2015 the Chicago-based band, Wilco, released “Star Wars,” an 11 track record was filled with psychedelic guitar riffs, noisy feedback and complementing percussion patterns. A feeling of reckless youth is portrayed through the album’s cluttered and intriguing sound. 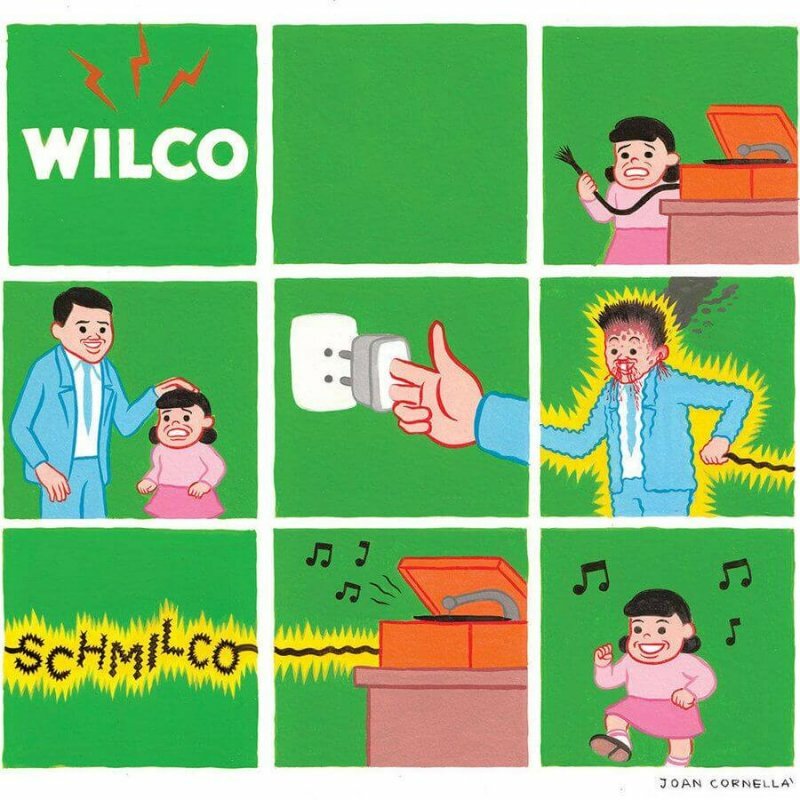 A short year later on September 9, Wilco—led by Jeff Tweedy—came back with their newest album “Schmilco.” It is their 10th studio release. The juxtaposition of these two albums is baffling. From the first track titled “North American Kids,” the listener knows that this 37 minute long album—available on iTunes and Spotify— is going to be much different than the past years. It is visible throughout the album that this is some of Tweedy’s most personal songwriting. Truthful and melancholy lyrics caressed by soft folk themes speak to an audience of many ages. In the opening track simple chord patterns compliment an honest reflection on one’s teenage years. This song about distancing oneself during adolescence due to fear of the unknown is something that many listeners can relate to. That is a continued strength for this 6-piece band. In any good album there is a connecting theme or sound between the songs. This album took that idea too far. After not much time at all, the pieces begin to blur together. Nearly 14 minutes into “Schmilco” the listener is pleasantly surprised by a shift in tone during the fifth track. “Nope,” is heavier, funkier and more bass-centric than the primarily acoustic songs preceding it. Followed by “Someone to Lose,” the listener is lulled back into the sedative state they were put in earlier. Bassist John Stirratt adds to the song, giving it some groove and movement that differentiates it from practically every other one but that is not enough to gain genuine interest in the piece. This particular track has some gripping highs, revved up by a powerful guitar phrase but they are quickly brought back down to Earth. The song fades uneventfully into the next one. To be blunt, the second half of “Schmilco” is profoundly boring. Suddenly, Wilco became sad. There is a thin line between reminiscent of the past and pitifully missing it. If “Schmilco” had one or two nostalgic songs about the past it would have been fine but they crossed that line in the first 6 minutes.The opening sentence of the 10th song, if a listener makes it that far, is “some long for the past.” Even without vocalizing the thought, it is quite clear to listeners that the members of Wilco do. Prior to the release of the album last Friday, three folk rock tracks were dropped and there was hope for the album. Frankly our expectations were quiet high after masterpieces such as "A.M."—which was Wilco’s debut album released in 1995—and 2002’s "Yankee Hotel Foxtrot." The seventh song, “Happiness,” voices all of our thoughts. After the anticipation for another piece from such a strong band, we are “so sad it’s nothing, it’s absolutely nothing.” It wasn't the emotional lyrics of “Schmilco” that broke my heart, it was the mundaneness of the album.